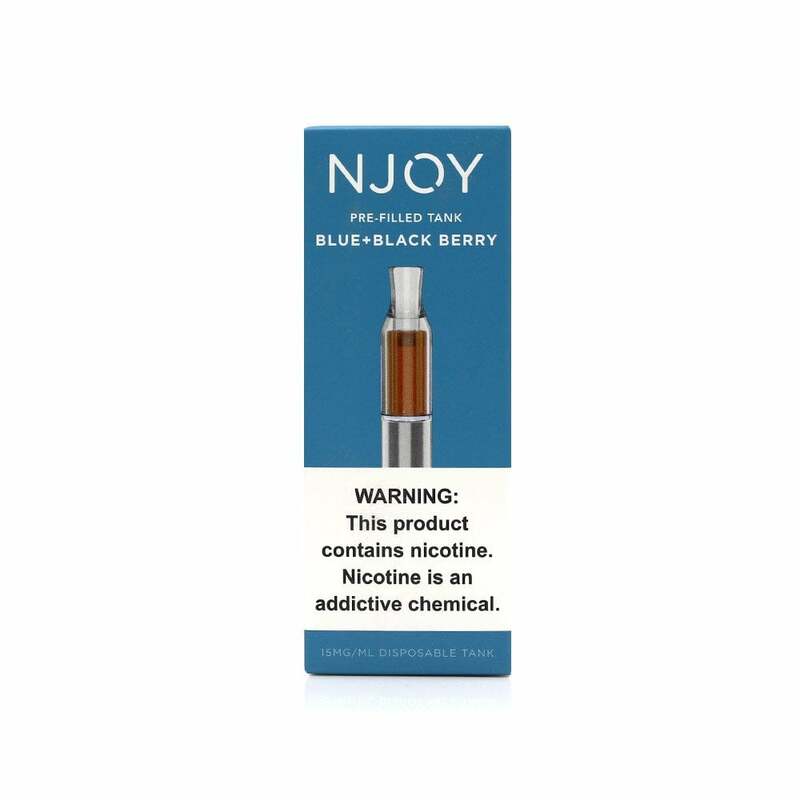 Part of the NJOY pre-filled tanks range, blue and blackberry is a succulent mix of blueberries and blackberries, ideal for a refined adult palate. Blueberry has long been known to be a flavor that lends itself well to vaping, but with blackberry thrown in, NJOY have really nailed this flavor. Great tasting and long lasting. Love the convenience of the pre-filled tanks and Blue and Black Berry is the best flavor ever! It's the only flavor I use! Great flavor, lasts along time. Paul T.
This is a great product. It tastes great and lasts. Love the flavor! I usually get bored with some flavors, but not this one! Great product! Lasts along time and the flavors are great tasting! Same as last shipment. Fast, reliable service. Will continue to use this company! Love the Blue and Black Berry....it is my favorite. Wish there were more flavors to choose from in the lower nicotine range. In fact, I wish you offered the 0 nicotine!! Really enjoy this flavor as well as the Apple Crisp. Both are very refreshing and long lasting. Just wish the button on the battery unit stuck out a little further as I literally have to look to find it with each vape! Much larger bang for your buck then the dailies. They weren’t lasting long enough for me. They have very similar taste to the daily’s which I like. This place is awesome!!!! Very fast shipping is awesome in two days i have my refills. And the stock is always there. Still waiting for the vibe to come back in stock love those. Keep doing the exceptional service. Best place ever !!!!!!!!!!!!!!!!! Not too sweet and very smooth. Very pleasing to the tastebuds. The product was good and delivery was prompt. As always, exceptionally quick shipping and great prices!!!! My favorite flavor of them all, tasteful without being overwhelming! shipping is easy, product is exactly as advertised and quality is great. Love this store and product!